We may receive an overwhelming number of messages every day, which makes it sort of difficult for us to manage them orderly. In many occasions, it is very likely for you, a Samsung user, to encounter a risk of losing your vulnerable data. The following example is just one of those who suffer losing important text messages accidentally. “Phone is Samsung Galaxy S7. Fell side-on onto a rock outdoors. Screen initially showed a lot of lines, then sections went black and now the whole screen is black. No back up! Phone due for upgrade but need business data from device: contacts and text message history. Would I have to get a screen repair to access the data or could the files be accessed another way? Thank you. Then how can you deal with this disturbing problem? Just go on reading! The Tool Android Data Extraction is a remarkable choice! Backup regularly is a fundamental habit! 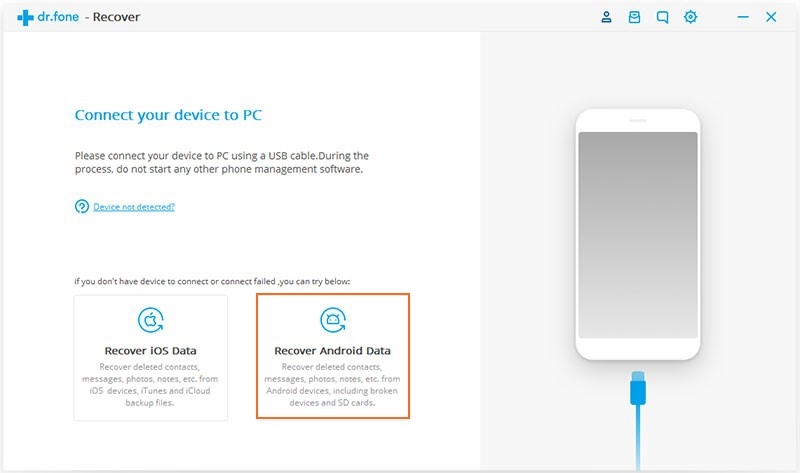 However the phone screen broken, such as having fall download from the table, hard crashed or the screen broken by the kids, it is just a piece of cake for this data recovery toolkit. The operation of restoring your SMS is really handy, so there is no need for you to be a smartphone expert, and all you are supposed to do is to install the Android Data Extraction first and then recover what you need by following the given instructions. Step 1: Launch the software and select “Recover” feature from the left of the interface. 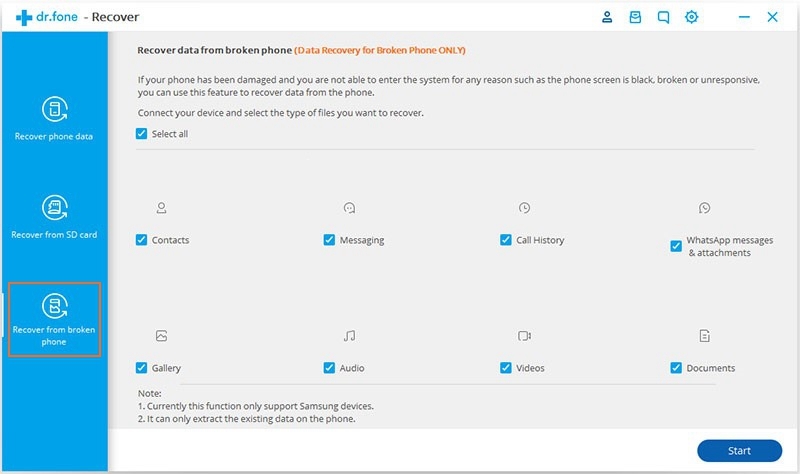 Connect your Samsung Galaxy to the computer, if the software doesn’t recognize your phone, simply click the “Recover Android Data”. Step 2: On the left window, choose “Recover from broken phone”. Next, select the types of files you want to scan and recover, if you want everything simply click “select all”, then click “next”. 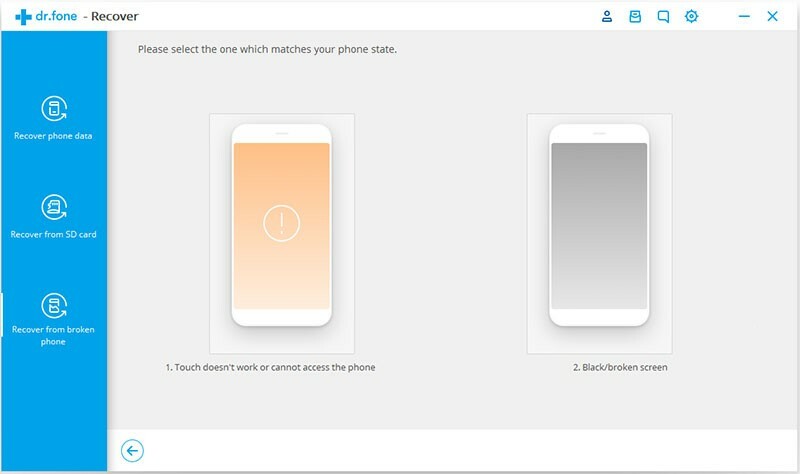 Step 3: Please select the “Touch doesn’t work or cannot access the phone” or “Black/broken screen” depends on the screen can display normally or not, then click the “Next” button to continue. 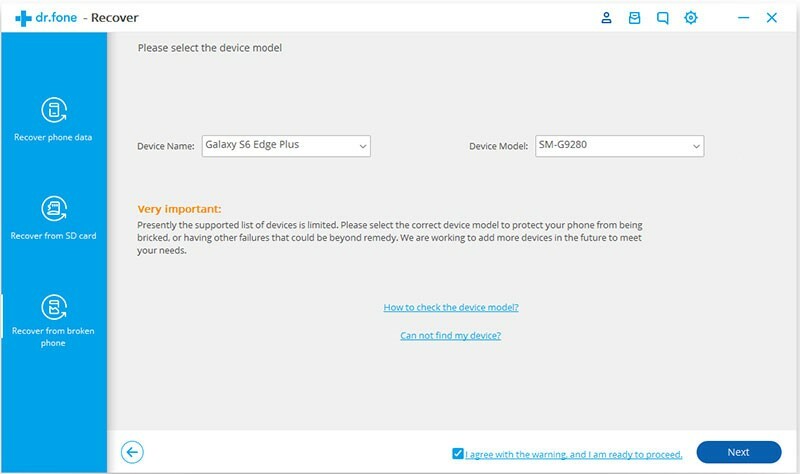 Step 4: After choosing the damaged state, please pick out the correct device name and model carefully, if you are confused about the device model or cannot find your type, just click on the highlighted sentence “How to check the device model”. The click on “Next” to continue. 1. Switch off your Samsung device by long pressing the power button for 10 seconds. 2. Next press and hold the Vol Down + Home + Power button simultaneously for 5 seconds, and your device will vibrate when it enter the Download mode . If there is not vibrates, try it again. 3. Press Volume Up button to confirm that you want to enter the download mode. Note: You don’t need to follow the count down in the windows. Assume that your Samsung device can display, you will see the screen as below. 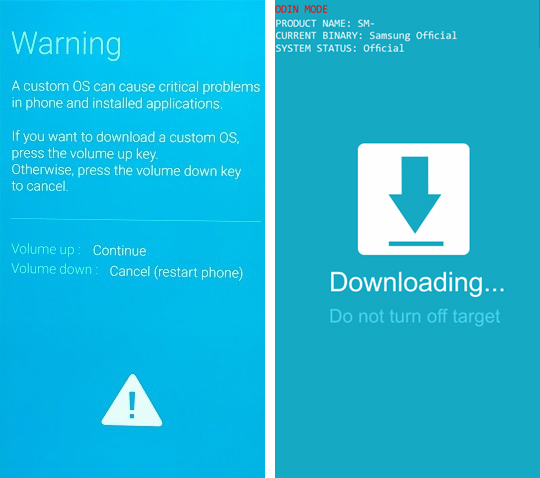 Step 6: After finishing detection, the data recovery tool begins to scan your phone and download recovery package. Please wait for a while, for important data are always worthy of waiting. Step 7: You will get a list of recoverable messages, you can retrieve them by clicking on the “Recover”. The retrieved messages will save as TXT document, HTML document and XML document. Note: You can view your messages in TXT document or HTML document on the computer. 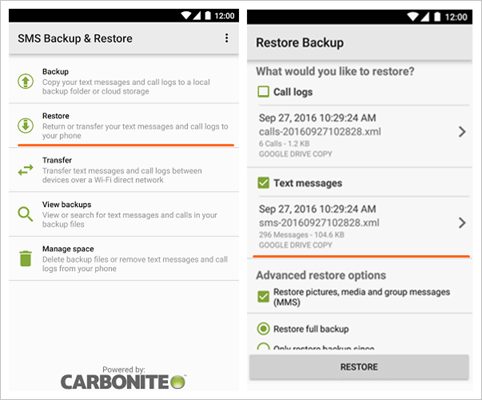 If you want to transfer the messages back to your Samsung Galaxy built-in Message, you can copy the XML document to your phone, and use the APP “SMS Backup & Restore” to restore the messages. We sincerely suggest that you use Samsung Smart Switch or Android Data Backup & Restore to back your important data up at a certain interval. Next, we will simply illustrate how to use these tools. 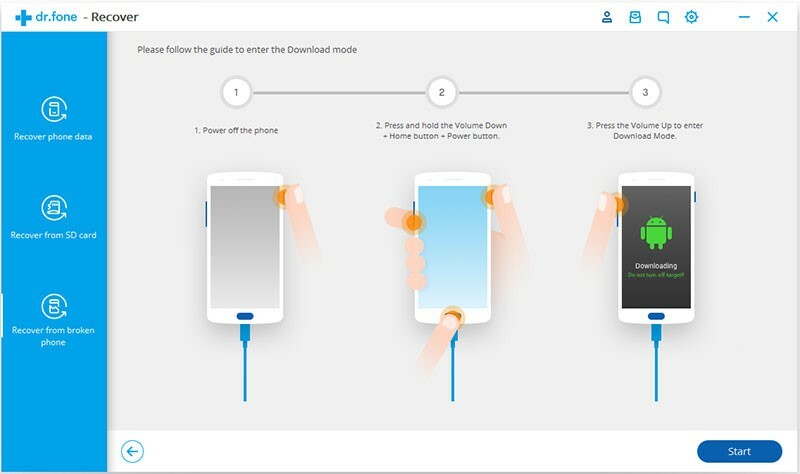 Download the computer software Samsung Smart Switch. Then run the tool on PC and connect your Samsung to it via a USB cable. 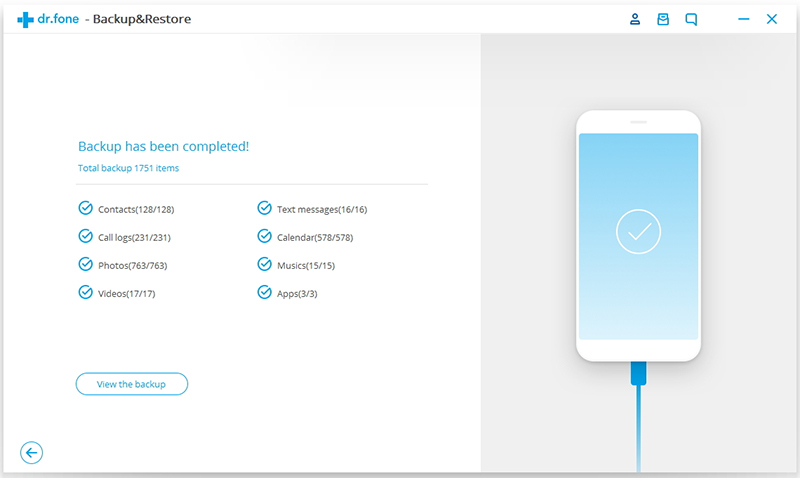 You need to choose the function of backup first, then the Smart Switch will recognize the messages on your phone and start backing up within several simple steps. As for Android Data Backup & Restore, the process is also very convenient. 1. 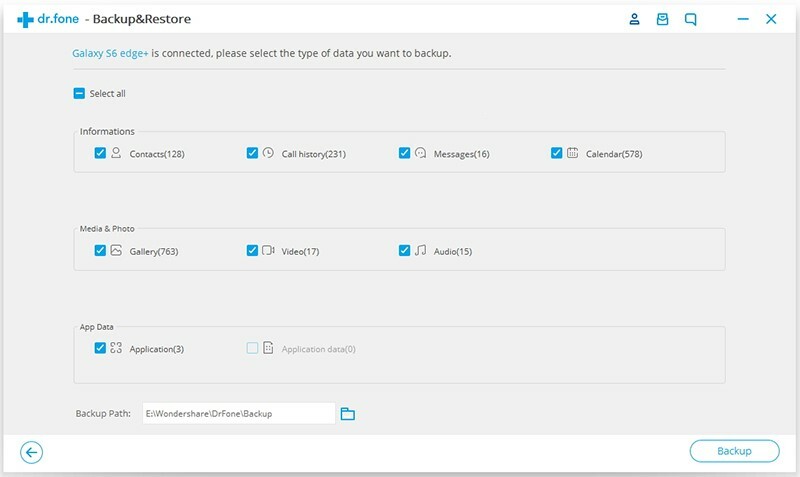 Launch Android Data Backup & Restore toolkit for Android on PC, click on “Backup & Restore” among all the options. Do connection between your Samsung device and a computer. 2. In the selecting step, you can only choose “Messages” to save time, or you can also select all if you like. Click “Backup” to move on. 3. The backup procedure will take a few minutes. During the process, please do not disconnect or use your phone. 4. You can check what have been saved by clicking on “View the backup” when it is finished. 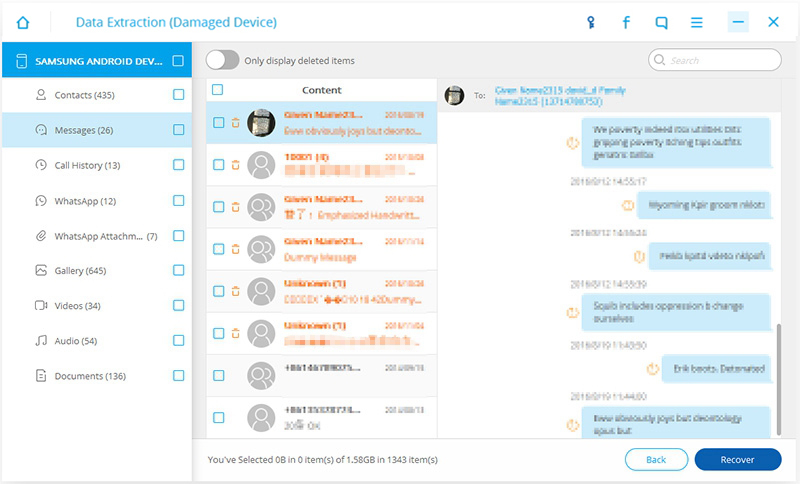 In conclusion, even if you lose significant text messages by chance, it will be achievable and convenient for you to restore them via Android Data Backup & Restore. Although you are able to get important data back through this useful software, we still recommend a habit of having regular backup. In a word, “Prevention is better than cure”!